PRINGLE, ROBERT, military engineer; m. 29 July 1784 a Miss Balneavis; d. 17 June 1793 at Grenada. Nothing is known about Robert Pringle prior to his commission as an ensign in the engineers in November 1760, but he had probably been a cadet at the Royal Military Academy in Woolwich, England. He was promoted lieutenant in 1766 and six years later was sent to Newfoundland as chief engineer. Pringle supervised the construction of new defences around St John’s to replace the existing decayed works and also built several roads and bridges to connect the fortifications. Although the defences were being improved, the town’s garrison remained “old, infirm” and “not capable of . . . Resistance,” the result of years of neglect by the home government. The outbreak of the American revolution made this deficiency a serious problem. The appearance of numerous privateers off the coasts and their attacks upon undefended outports raised fears that St John’s harbour might be raided. The supplies on which the island depended in winter were housed in the town, and their capture or destruction would have proved disastrous. Pringle had seen the need for a more adequate garrison soon after his arrival and had recommended to the secretary of state for the American Colonies the raising of a force of local inhabitants to supplement the regulars in an emergency. He was sufficiently concerned during the winter of 1777–78 to organize 120 labourers working on the fortifications into a small auxiliary armed force, without waiting for official approval. When Governor Richard Edwards arrived in 1779 he approved of Pringle’s measures and with his advice persuaded the inhabitants to form a militia-like force of larger size. The inhabitants of St John’s who joined the Newfoundland Volunteers, as it was called, agreed to be drilled by Pringle, and also agreed to serve in case of an attack on condition that they receive an enlistment bounty and provisions. The Volunteers proved popular, and by May 1780 some 400 men had joined. Shortly thereafter the Volunteers learned that the British government had refused to sanction the enlistment bounty, and they promptly disbanded and dispersed to the fishery. Since the labourers were due to return soon to Britain and since Edwards’ squadron had captured information that suggested an imminent French attack on the island, some alternate form of defence was imperative. Again with Pringle’s advice, Edwards authorized the formation of a provincial unit to be called the Newfoundland Regiment in September 1780. Pringle was promoted lieutenant-colonel in view of his past services. Although official approval for the regiment was forthcoming, Pringle experienced several problems in forming and maintaining his unit. The British government reduced the number of companies from six of 55 men to three of 100 men, thereby halving the number of officers and burdening those who remained with double the recruiting costs. It also lowered Pringle’s pay and refused the regiment certain privileges accorded other provincial units. In addition Pringle was forced to pay for regimental needs from his own funds, and he was frequently bothered by a lack of provisions and equipment. The Newfoundland Regiment was nevertheless well received in the island and probably helped deter attacks on St John’s until it was disbanded in October 1783. The life of the various forces raised on the island, although brief and uneventful, was a testimony to the vision and energy of Pringle at a critical stage of the war. Pringle apparently returned to Europe in 1783, where he resumed his regular duties. 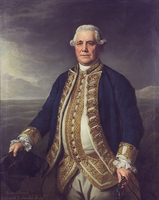 He was promoted chief engineer at Gibraltar in 1785, a position he held until at least 1788. Two years later he was promoted full lieutenant-colonel and colonel in America, and in 1792 lieutenant-colonel of engineers. The following year he was sent to Grenada, where he died of fever shortly after his arrival. PAC, MG 23, A4, 66, pp.116–34. PRO, Adm. 1/471, ff.455–57; 1/472, f.12; 80/121, ff.75, 78, 106–7; CO 194/30, ff.114–16; 194/32, ff.76–78; 194/33, ff.5–6, 106–7, 115–16, 131–32, 138–39; 194/34, ff.3–6, 7–9, 25–28, 52, 57, 61–62, 75–76, 102–3; 194/35, ff.3–10, 36–39, 53–55, 64–72, 76–77, 82–83, 98–119, 125, 130, 133–36, 147–48, 153, 212, 222, 257, 300, 305–7, 310–11, 322–23; 195/12, ff.99, 106–8, 225–27, 228; 195/13, f.14; 195/14, ff.1–20; 195/15, ff.98, 102, 115, 155; WO 1/12, ff.207–10, 217–20; 1/13, ff.40–41; 55/1557/2–4; 55/2269, ff.2–9. Gentleman’s Magazine, 1784, 636; 1785, 838; 1788, 267; 1793, 768. G.B., WO, Army list, 1761–93. Roll of officers of the corps of Royal Engineers from 1660 to 1898 . . . , ed. R. F. Edwards (Chatham, Eng., 1898), 8. T. W. J. Connolly, History of the corps of Royal Sappers and Miners (2v., London, 1855), I, 47–48. G. W. L. Nicholson, The fighting Newfoundlander; a history of the Royal Newfoundland Regiment (St John’s, [1964? ]), 13–23, 582–91. Porter, History of Royal Engineers, I, 215. Prowse, History of Nfld. (1895), 341, 652. Stuart R. J. Sutherland, “PRINGLE, ROBERT,” in Dictionary of Canadian Biography, vol. 4, University of Toronto/Université Laval, 2003–, accessed April 24, 2019, http://www.biographi.ca/en/bio/pringle_robert_4E.html.